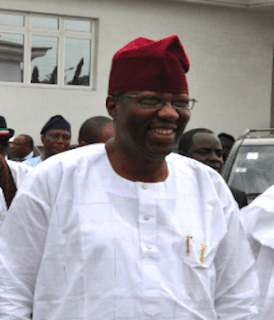 Former Governor of Ogun State and Director General of the Atiku Presidential Campaign Organisation (APCO), Otunba Gbenga Daniel, says he doesn’t understand the “insults” and invective hurled his way since he announced his resignation from the People’s Democratic Party (PDP) and partisan politics on Thursday, March 14, 2019. Daniel said he was quitting politics in order to “rejuvenate my charity based organization, the Gateway Front Foundation (GFF) which will literally continue to dispense succor to our people in need, address and assist in the areas of some of their health challenges; I also plan on resuscitation of the non-partisan Political Leadership Academy (POLA) which I established some years ago as a platform of political education to our citizens”. However, on March 17, 2019, Daniel announced that his supporters knelt before him and pleaded with him to lead them to the governing All Progressives Congress (APC). “They said I must lead them to APC and they also said I could not retire from politics. That is the summary of what I heard. What else can I say? My people have spoken,” Daniel said. However, Daniel's decision to leave the PDP after serving as boss of the Atiku Abubakar presidential campaign, has sent tongues and fingers wagging, more so because Mr. Abubakar, PDP presidential candidate in the last elections, is currently challenging the result of the presidential election in court. Daniel has been called a mole and traitor for abandoning the PDP ship; but he says he doesn’t understand why that is the case. “I am over 60 and have been a workaholic all my life”, Daniel began in a press statement made available to Pulse by his aide. “I was listed by the then National Concord as one of 50 most fascinating businessmen in Nigeria in 1990 as CEO of Kresta Laurel Ltd. Before then, I was the first black DMD of a multinational conglomerate where I worked. Daniel threw his support behind APC governorship candidate in Ogun State, Dapo Abiodun, before the March 9 gubernatorial vote, even though the PDP had its own governorship candidate in Senator Buruji Kashamu. Abiodun would go on to rack up a vote total of 241, 670 to beat his closest challenger, Mr Adekunle Akinlade of the Allied Peoples Movement (APM) who polled 222, 153 votes. Daniel and Abiodun have been buddies for years.